Ladies and gentlemen, I present to you... Underalls And The Overalls! 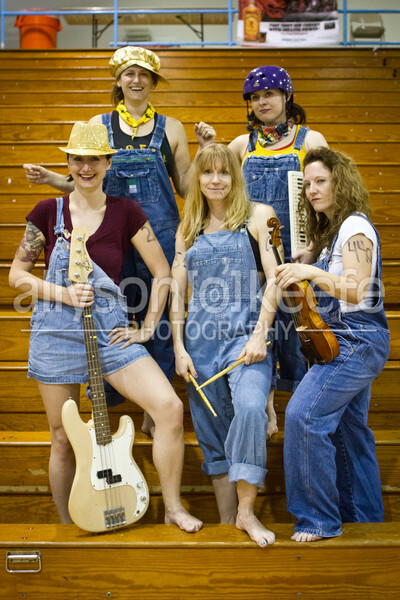 — The Big Easy's own all-rollergirl band, performing one song only, one night only: Friday, April 20, 2012. Come see this quintet of awesomeness at the All That Glitters Is Gold fundraiser. And if you applaud extra loud, they might play an encore for you! That's the same song, twice in one night! Unbelievable!! !